Working from home has its perks. I can listen to whatever music takes my fancy, I can get my nails done on a Monday morning, and I don’t need to wash and blow dry my hair every morning like I did when I worked in an office. It’s so convenient to be able to tackle emails in a sweatshirt and leggings, and even though I keep it casual when I’m not at client meetings, I still like to feel ‘done’. In an attempt to keep my hair as healthy as possible, I’ve been sampling various dry shampoos to disguise second day hair. 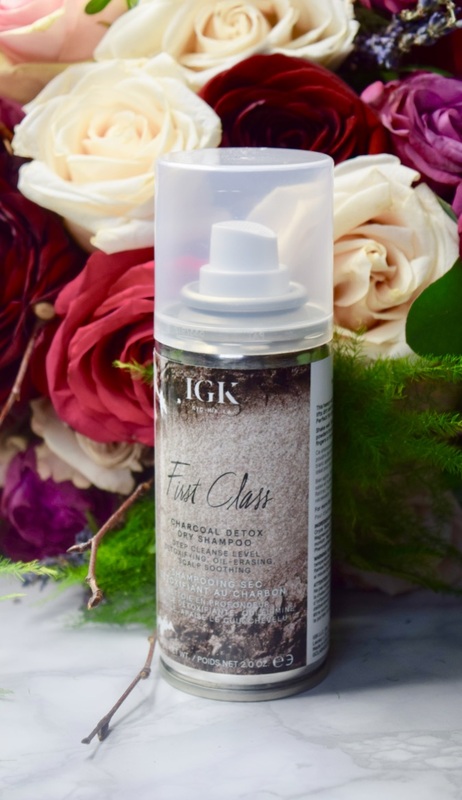 My current favourite is IGK’s First Class Charcoal Detox Dry Shampoo. 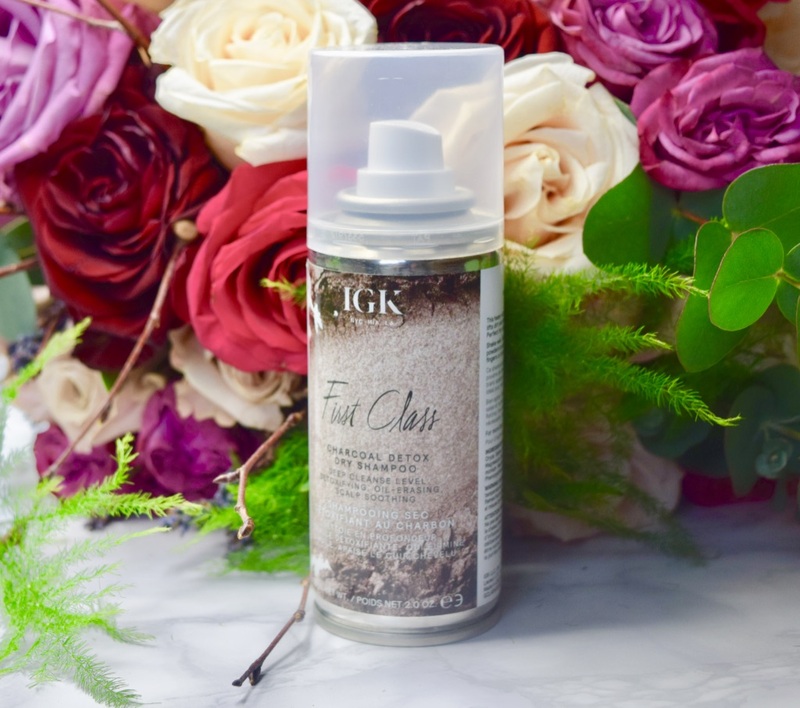 It’s a new release from the brand, and it’s designed to absorb and gently lift away dirt, oil, sweat and build-up without distressing the hair or scalp. It’s basically a dry shampoo for people (like me) who don’t tend to like dry shampoos. It’s not heavy or sticky feeling like other brands I tried. Instead, this is super lightweight, it smells fresh, and it magics away hair oil like nothing else. 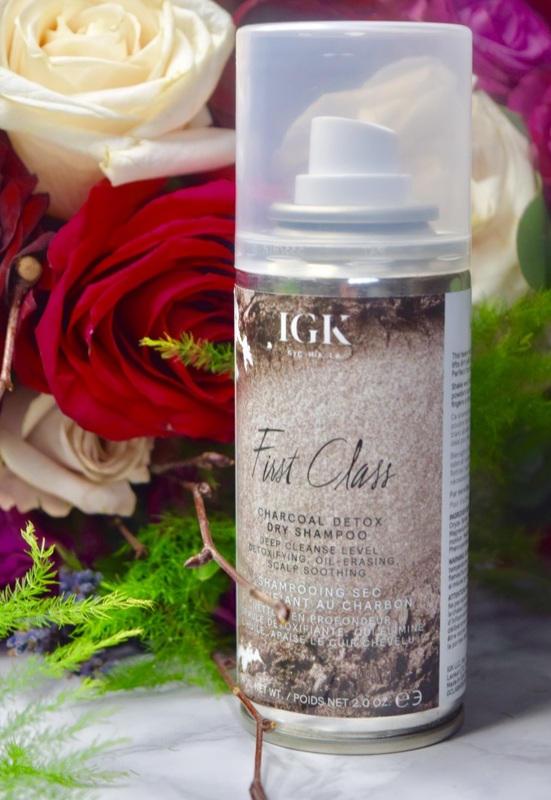 On second day hair, I take care to section off my hair at the roots, spraying a little dry shampoo right in at the roots and giving it a good massage. I also use it on clean hair whenever I want a little grit and volume. It’s perfect if I’m trying out an up-do or bouncy ponytail. It’s also a perfect product to through into my gym bag. It makes short work of post-spin hair, keeping it (relatively) tidy. There’s no white cast with the dry shampoo either, it’s completely clear and the effects last for a good 12 hours.